Middle Jurassic has always been considered as a mysterious ancient period full of ‘magical’ dinosaurs, pterosaurs and plants. However, when we think about the Jurassic landscape, we should take insects into consideration as well. The lacewings, for example, are a graceful group famous for the lovely net-like veins on their wings, beautiful enough to stand the test of time, preserved as fossils. In addition, the wing spots on their wings form various patterns, which serve to tell us more about their adaptation to the particular environment. 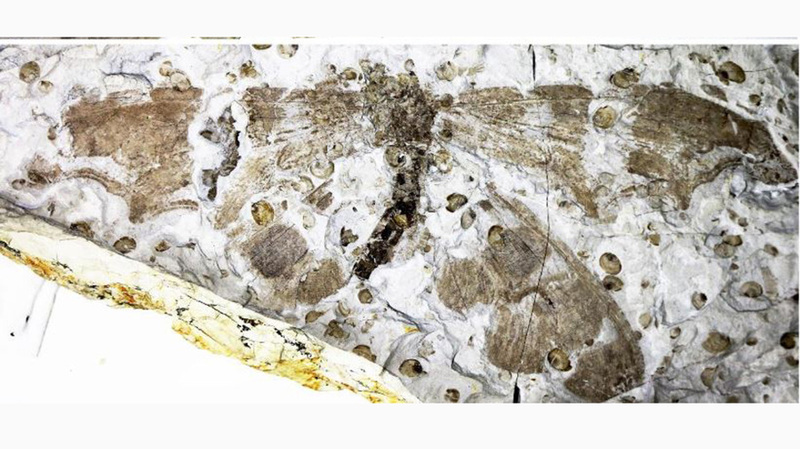 Having carefully studied several pieces of compressed fossils of the large and distinct insects they found in Dohugou village, Inner Mongolia, Chinese scientists Hui Fang, Dong Ren, Jiaxi Liu and Yongjie Wang, College of Life Science, Capital Normal University, Beijing, discovered two species new to science. Due to their complex, one-of-a-kind wing venations, all three of them were placed in the same genus (Laccosmylus) in the family Saucrosmylidae. Their descriptions, along with the redescription of another previously known species, are published in the open access journal ZooKeys. “Fossil lacewing insects are much more abundant compared to living ones,” comment the authors.